WBO Africa Heavyweight Champion Richard Harrison Lartey is brimming with confidence as he heads into his April 27 bout versus undefeated Brit Daniel Dubois. 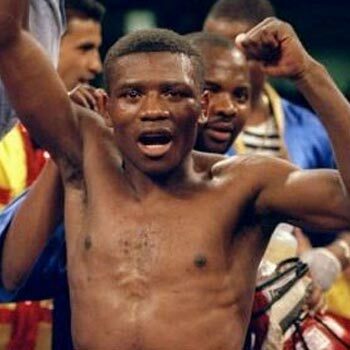 Lartey (14-1, 11 KOs), is a hard-hitter from Ghana who has won eight in a row; his last four came inside the distance. However, he’ll be taking a major step up in class when he faces the 21-year-old Dubois (10-0, 9 KOs) at the SSE Arena in Wembley, England, live on BT Sport. PreviousPrevious post:DOGBOE: I’LL MAKE NAVARRETE EAT HIS WORDS!NextNext post:JARRELL MILLER TESTS POSITIVE FOR PEDS, ANTHONY JOSHUA BOUT IN JEOPARDY!